Proverbs 22:6 says "Train up a child in the way he should go and when he is old, he will not depart from it." Train is a verb, which means it requires some sort of action. I can't just sit back and let the church teach her, or hope that she "gets it" from my example. This is something that requires me to be actively involved in teaching my child about the Lord. I constantly have to remind myself that I can't "make" my daughter a Christian. I can't even teach her to be a Christian. If I try, I'm just training her to be a hypocrite and pretend to be something she's not. My responsibility as her parent is to teach her right from wrong and train her in the way of the Lord. The relationship part is between her and God! Don't worry, I have much to say on the first part of that verse, but I'm saving that for another time! As far as focusing on the training part, I think it's pretty clear that this verse is commanding parents to train and instruct our children in the way of the Lord which to me means teach them about who God is, much in the same way that the Lord Jesus taught His own disciples! This it the opposite mindset of what our culture is telling us today. We are told to let kids be kids and that saying "no" to them will hurt them and oppress their personality. I think the product of that parenting style speaks for itself. I believe that when we neglect to teach and train our children, it is extremely harmful for them not just when they are young, but for the rest of their lives! When I think about the responsibility God has given me to shape this little life, it blows my mind. It's overwhelming and I don't know where to begin! 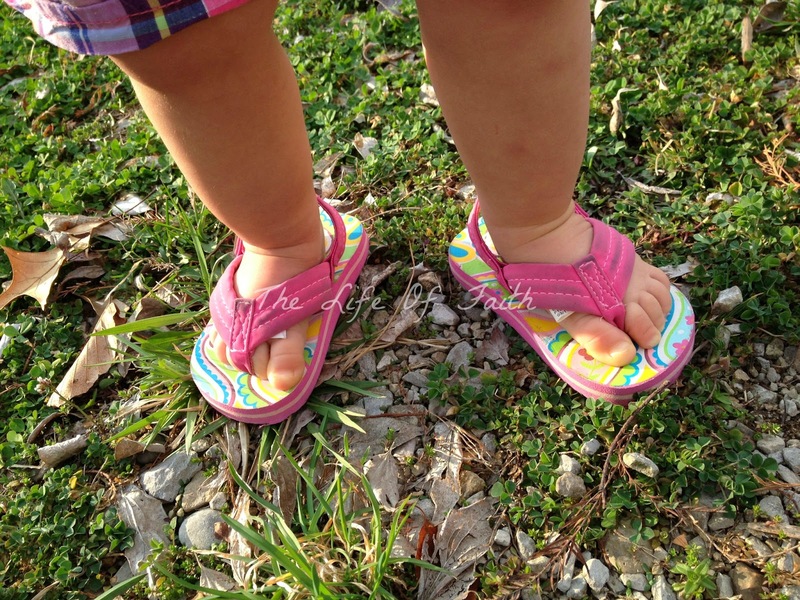 Obviously, teaching children about Jesus will look a little different in every home, but here are 5 ways that hubby and I have found to teach our daughter about Jesus, even as a toddler. My desire is that you derive ideas and encouragement from this list, but not follow it as "the way" to teach your toddler about Jesus. 1. Pray for your toddler This is #1 on the list for a reason. Like I said above, only Christ can capture your child's heart. You can't give it to the Lord for them, you can't make them believe and you can't make it real for them. I believe there is power in our prayers as we ask God to reveal himself to our children in ways that we are powerless to. 2. Pray with your toddler As I've said in earlier posts, we have made it a point to pray with our daughter before her meals and every night before she goes to bed. She may not understand completely what's going on, but she is being taught that God is important enough for us to pause our lives and talk to Him. After a year of praying with us, it's one of her favorite things to do. If we forget to pray before we eat, she holds out her chubby hand and says in her sweet voice, "pray?" She also has started saying "meen" for Amen at the end of our prayers. It's so encouraging to know that she likes talking to God, even though she may not understand it completely! 3. Read them the Bible This is a tough one because it's hard to keep a toddler's attention through a whole story book, much less the Bible! I have found that the perfect time to read the Bible to my daughter is during breakfast while she is eating. Too often we rely on easier and more simple ways to convey the Bible, but I believe there is power in exposing children to the straight up word of God from the very beginning. Bible story books, and children's Bible's are also great teaching tools that shouldn't be neglected! My challenge to you, however, is to make sure that your child's story book is actually scriptural. It's amazing how many christian kid's books we have looked through that aren't even Biblical! Psalm 95:1 says, "Oh come, let us sing to the Lord; let us make a joyful noise to the rock of our salvation"
There are TONS of great kid's songs that teach about Jesus and stories from the Bible. There are even many songs that are just scripture put to music! I don't have anything against fun kid's songs, but I think it's so important to permeate our children's lives with as much truth as possible. Music is one of those ways that it can be done! Music also sticks with people in ways that words typically don't. I still remember some of the songs I learned as a kid even though I haven't heard them in over 15 years! When you go outside, tell them who made the grass, sky, trees and birds. Thank Jesus with them for the beautiful day. When they make a mistake, talk to them about sin and how we can't be good on our own. Explain in simple words about Jesus who died to take the punishment for our sins. When another child is mean to them, take the opportunity to teach them to "turn the other cheek" just like Jesus did. Those lessons start now! Remind them constantly of God's love, forgiveness, and grace in their lives and in your own! Instill in them a love, respect and awe of their Creator God. It's never too early and you may never know the impact you are having on that little mind and heart. I'm sure there are countless more ways to teach your toddler about Jesus and I'm definitely not an expert in this area. I'm just learning as we go and praying for wisdom along the way. I hope you are encouraged to do the same! We love the Jesus Storybook Bible in our house. There are also a bunch of activities that go with it. This is wonderful! I love reading beautiful posts like this from amazing mothers who aren't afraid to announce to the world that they are teaching their children to love our Savior! Thank you for sharing this. You've got a new follower of your blog! Thank you for this post Faith! I have been looking for ways to do more with Taylor. We do most of these things but some we do not and I appreciate the ideas. Great topic! I was just thinking about this the other day and how we need to incorporate prayer in Elin's bedtime routine. Thanks for the reminder and other suggestions! Thank you! Yes, it's such a great habit to get in to. She now expects it and I hope it's something she does for the rest of her life! A wonderful post! I have a 20 month old, and we pray together at the end of each day, but I really haven't made as much of an effort as I'd like to see myself do to incorporate our faith into other parts of our day. I will be adding some songs and new books to the library! Thanks for the great ideas, and YES, it is absolutely ok to say NO. God tells us no all the time! Love these ideas! We try and do some of these each day, but this is a good reminder to me that I should do more/some more often! It is the cutest thing when they start picking up on things though, like folding their hands when we pray. Start them young, right? :) Great ideas, thanks so much for sharing! I like this post. Also, besides reading to your toddler, allow your toddler to see you reading your Bible. Yes, that is so true, and something I need to be reminded of as well! Thank you! I love, love, love this post. You nailed it when you talked about the relationship part... it is between our children and Christ. I pray that I teach my children that I have a relationship with Christ. It's not religion... it's a relationship. Both of my girls go to Sunday school and the church does a fabulous job of focusing on relationship. They even share their curriculum with families so that we can further incorporate what they've learned into our home environment. Thanks for sharing. I'm pinning this... as it's truly inspirational. Oh that sounds fantastic! What curriculum do they use? I love that! Thank you so so much for pinning :) I appreciate you! It was such a joy to read this post, as few days before I was actually "searching" in google the same topic... I came here via cuddlebugcuties Wednesday Linky party. 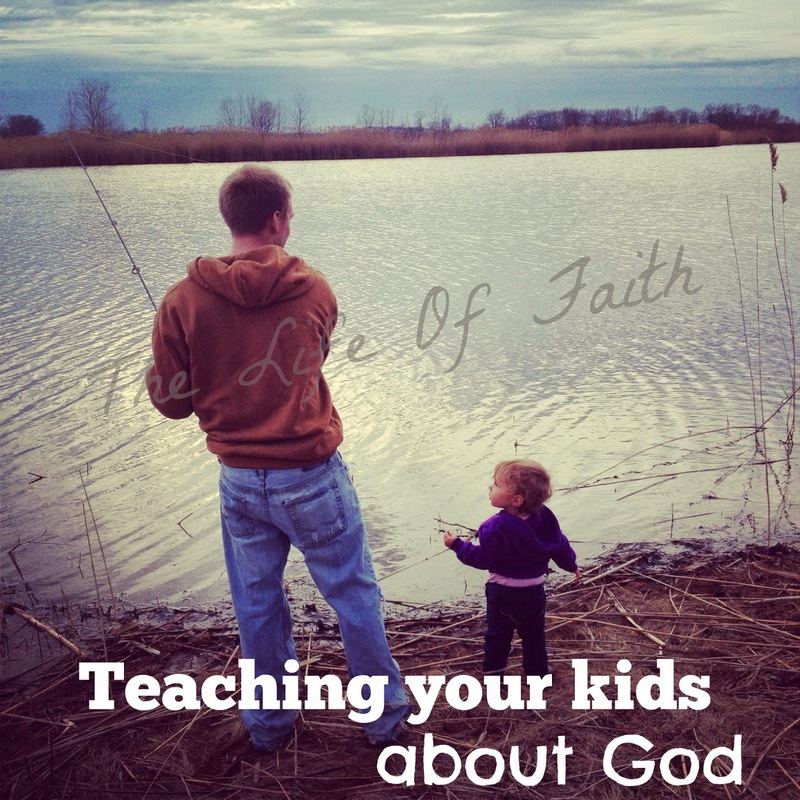 I liked all the ways you have been following with your toddler to teach the love of our saviour. We have been teaching him to pray before meals and sunday school songs.I also say bedtime stories from the Bible. But one point from your post did change my thinking about this whole thing totally. "hope that she "gets it" from my example" Oh, wow!! What a mind blower it is! I used to think, if my son sees me praying he will pray and so on.. andd was trying to teach him that way. But "the real training" needs lots of effort!! Thanks for sharing this amazing topic, a much needed one in this world currently. I love that scripture in Proverbs. Thank you for sharing your faith and your desire to raise children up to know Christ. It is so important to me as well. Beautiful post! Thank you for the encouragement Elizabeth!